The handsome King of Swords stops by with a message this week. 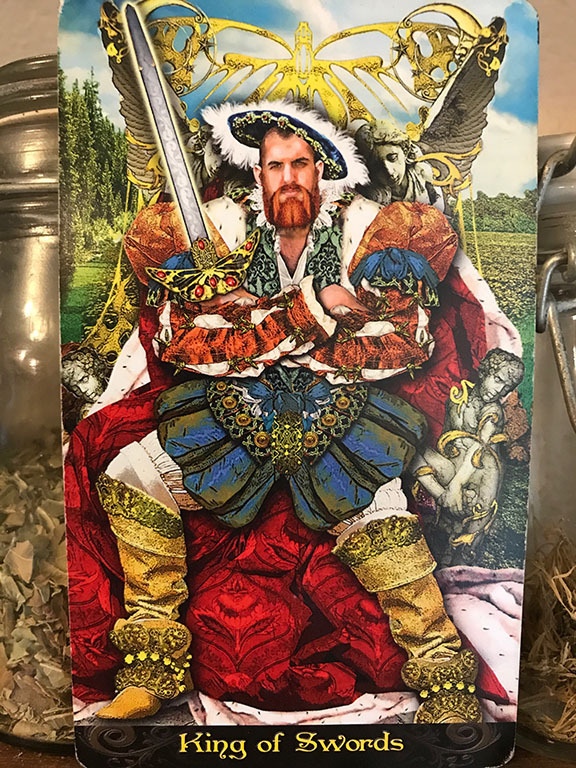 This week we find the King of Swords in our reading, the Moon is in Scorpio — a prime baby-making time. We make our own BBQ Sauce and talk a lot about the illusion of perfection. Note: our apologies for the typing noises, the dreaming/yipping doggy, and a couple of table taps and thumps. Our mic sensitivity was off…lesson learned. This entry was posted in Podcast and tagged bbq sauce, Country Dwellers, king of swords, MareLin, moon cycles, moon in scorpio, old ones wisdom, pagan podcast, perfection is the enemy of good, Runa, spell of the week, spiritual journey, wheel of the year, witch's almanac. Bookmark the permalink.